Home / europe / ice / music / record disc / sweden / This Is The Most Amazing Idea: Record Disk Made Out Of Ice! 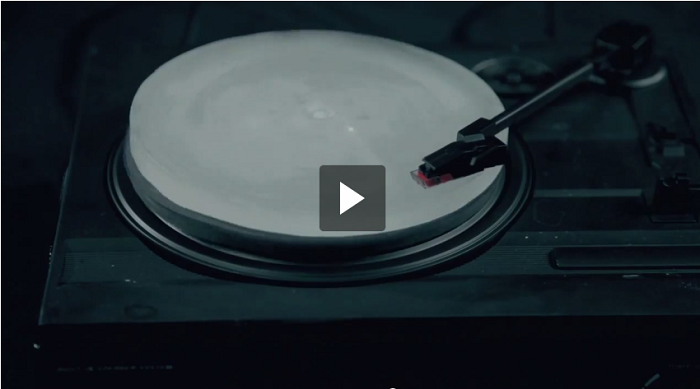 This Is The Most Amazing Idea: Record Disk Made Out Of Ice! Sweden’s Shout Out Louds just rolled out a limited edition version of their song Blue Ice which can be played on an…icy disk. “Blue Ice” is the 1st single on group’s Optica album. According to their website, the Stockholm-based indie rock band released 10 boxes comprising a plastic record-shaped mold and a bottle of water. In case you are lucky enough to get such a box, you only have to pour water into the mould and then put it in a freezer. After water solidifies and turns into ice, the record can be run on a record player just to reproduce a copy of the song featuring about 30% of the original content quality. Why Your Brain Loves Music? Collapse Video Of A Glacier The Size Of A City | You’re Going To Find This Hard To Believe!